Retinol is one of the few ingredients that is truly anti-aging. If implemented into your skincare routine early on, it is actually preventative. It’s also ideal for those suffering from breakouts, uneven skin tone, dull complexions, and sun spots. It’s a multitasking complexion savior, and we’re so here for it. Retinol is a concentrated form of vitamin A which is used to increase skin cell turnover, boost the skin’s antioxidants, and reveal healthier cells by brightening the complexion and decreasing pores and wrinkles. In short, it really is an ingredient that gives you better skin instantly, as well as over time. While many forms of retinol are available only through a doctor’s prescription (think Retin-A), there are a myriad of products containing this powerful anti-aging, anti-acne ingredient that can be purchased immediately without an Rx. If you’re not using retinol weekly, you should be. Even those with sensitive skin can benefit from the right retinol: choose one that is time release, a low percentage, or includes hydrating and soothing ingredients like hyaluronic acid and aloe vera in the formulation. With retinol, you want to start slowly: try one every third day, at night, then increase to every other night, then build to every night. It’s imperative to use sunscreen every morning as retinol can increase your skin’s photo-sensitivity. We don’t use retinol during the day — and we don’t recommend it, either. 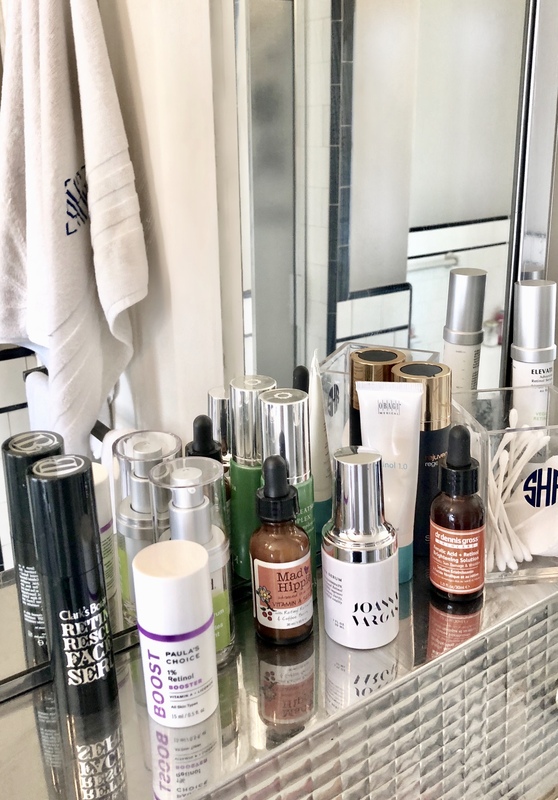 These days, you can even find retinol eye creams, like the new Kiehl’s Youth Dose Eye Treatment and Murad’s Retinol Youth Renewal Eye Serum, two of our favorites. Note: You should not use retinol while pregnant or breastfeeding.